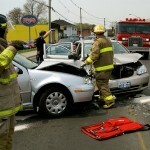 How insurance companies investigate your complaints by auto accidents? The nature and severity of the accident. 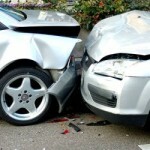 If the accident involved property damage, injuries, or both. However, certain steps are common in most investigations. We will review these steps here. After filing your complaint, an insurance adjuster will be assigned to your case. The adjuster will review your policy to ensure coverage you have. He or she can contact you for more details about the accident. Request to send a copy of the police report for review. Communicate with the other involved driver. Talk to witnesses who were in the accident. Visit the scene of the accident. Inspect your vehicle for damages. Taking pictures of your car. You will be asked to sign a medical authorization form in order to see your records. Contact your health care provider for information about your injury expenses. 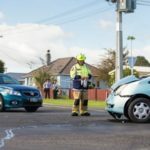 Your insurance company will cover your expenses for injuries and repairs of your car until the resolution is determined and then negotiate with the insurance company of the other driver to decide who pays in the end. The initial payment process is “compensation”, which means that coverage for damages and losses. If the other driver is found guilty, your insurance company to seek payment from your insurance company through the process of “subrogation (replacement)”. The use of a verified body workshop. Your adjuster may request to take your car to a workshop approved by the insurance company for an estimate of costs and repairs. To obtain quotations. The adjuster can ask to go to several workshops of your choice and get quotes to compare. Choosing your own repair shop. You may decide to perform repairs your car anywhere you choose; however, you may have to pay the difference between the budget presented by this workshop and the amount which the insurer determines is a fair price. If your claim includes medical expenses for injuries caused by the accident, your claims adjuster will need to see evidence of your medical expenses. He or she may ask you to sign a permit so that your car insurance company access to your medical history. Before signing this document, you may want to talk to an expert accident lawyer about whether the signature is your best choice. Once they have access to your records, the information in your medical history can be used to reduce the payment of your claim. You will need to provide as much information as possible to get the best possible deal. The adjuster will ask all the facts to remember. Information and the name of the insurer of the other involved party. The name of the involved Police Department and the number of the police report (if applicable). 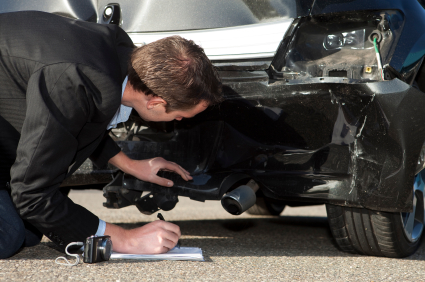 One of the functions of your insurance adjuster is to determine the fault. In most states, a driver must not be 0% or 100% of the blame. Your adjuster can decide that you are part of the blame (for example, 70% responsible for the accident). If you are responsible for 70% and the other driver is responsible for 30%, the company can pay 70% of the compensation and auto insurance company of the other driver can pay the remaining 30%. In some cases, the solution is to be fully paid by the insurance company car driver that has most of the blame. Talk with your auto insurance agent to learn more. The adjuster will investigate in addition to reviewing history of complaints; insurance companies may also seek information from you on the Internet. They can go to Facebook, Twitter or other social media sites to make sure you’re not lying. For example, if you are claiming damages for car accident Tuesday morning, and published a photo of you with your car intact on Wednesday, company will recognize the fraud. Adjusting privacy settings so that only approved people can see your photos. Avoid posting photos or anything online about your accident. Do not attempt to make a fraudulent claim.